For your loud and bold girl, this Le Temps Des Cerises top will express her personality with its roaring tiger! 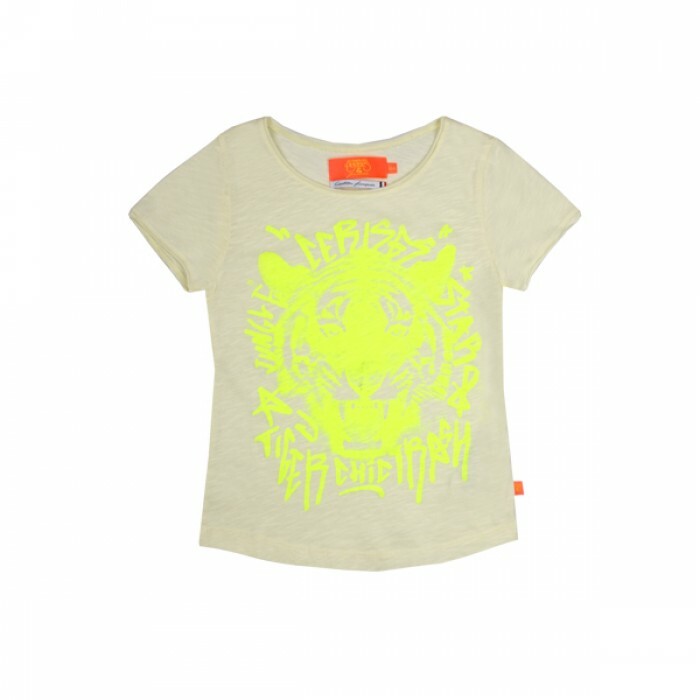 In bright neon yellow, this tee is made of super soft and airy fabric to support her busy days while the neon shade will turn many heads! Let her stands out even more by pairing it with a pair of printed bottoms!